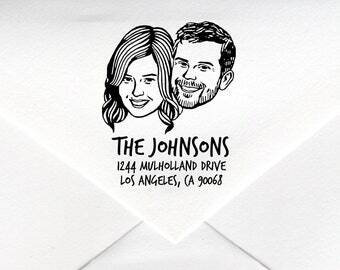 Decorate your wedding cards with your own couple portrait. * No photoshop effect, my eyes and my hands are working! You'll get a unique, precise and delicate piece of art just for you. 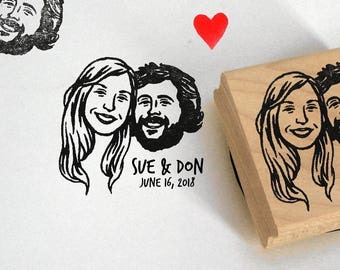 With this technique your stamp will be exactly like the sketch. Average size : 3.5 x 4 cm / 1.4" x 1.6"
1. you purchase this item. You can send two separate pictures OR one single picture with both of you together. 4. i make the stamp and send you a picture. 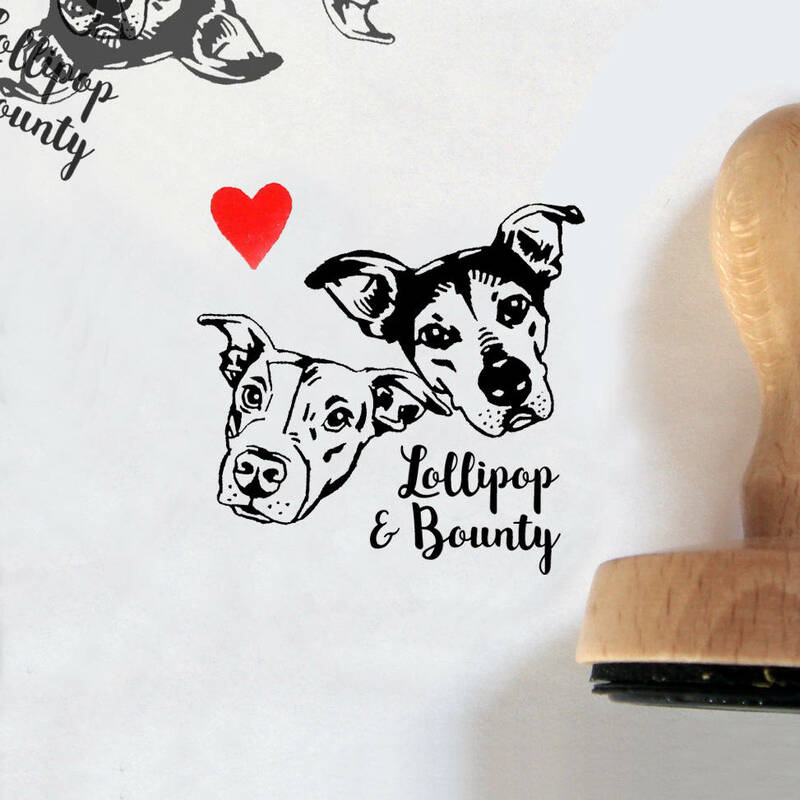 I love my stamps!! This is perfectly my pup who died last year.